The recently completed 111-unit Broadway Lofts Apartments at the corner of South Broadway and Englewood Parkway was finished in late 2017 and fully occupied earlier this year. Ground-floor commercial space is nearing completion and occupancy. 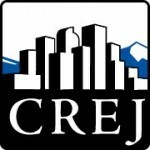 The pace of growth in the Denver region in recent years has generated an unprecedented level of investment in real estate development, new and expanding businesses, and new residents. Two challenging impacts from this rapidly changing scene are increased burdens on transportation systems and housing prices that are outpacing the ability for moderate-income households to afford to live in the metro area. Downtown Englewood is a 23-minute light-rail ride from Denver’s central business district and a 25-minute drive from the Denver Tech Center. Capitalizing on a central location and the high demand for workforce housing, the recently completed 111-unit Broadway Lofts Apartments at the corner of South Broadway and Englewood Parkway, meets the need for quality affordable housing near transit and other community services. The apartments were finished in late 2017 and fully occupied earlier this year. Ground-floor commercial space is nearing completion and occupancy. Completed by Medici Development through a land acquisition partnership with the Englewood Urban Renewal Authority and the city of Englewood, the apartments are a focus in the burgeoning South Broadway corridor in Englewood. EURA had owned a substantial portion of the land since the 1980s, and the city owned a smaller portion of the site, which had been a public parking lot. The community’s primary goal for the development was to repurpose an underutilized parcel to create more activity in the downtown area through new residential and commercial development. The city also desired to activate the site by ensuring that the development would include commercial space on the ground floor. EURA issued a request for proposal for the property in 2013 to which three developers responded. 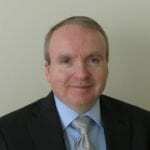 EURA selected Medici Development, which entered into a development agreement with the authority in 2014. Medici Development focuses on affordable multifamily housing development and a site in a central location, accessible to transit and with the prospect of serving as an anchor for a re-emerging commercial district combined to heighten the firm’s interest in developing the project. The price for the land was $1.7 million, with EURA agreeing to extend a loan to Medici of $1.2 million of the acquisition cost of the 1.8-acre parcel. Medici Development acquired the property in the summer of 2016. With financing from a willing and cooperative seller, Medici was able to overcome the challenges faced by most affordable housing developers of being able to hold the land at a reasonable cost while waiting for decisions to be made by Colorado Housing and Finance Authority on the award of tax credits. Wells Fargo was the construction lender and federal tax credit equity partner, Sugar Creek Capital the state tax credit partner and Barings Financial provided the permanent loan. A $1 million grant from Arapahoe County and a refund of use taxes from the city of Englewood helped Medici overcome the challenge of offering units at affordable rents and filling the resulting gap between sources and uses. The $27 million project, designed by Stantec and constructed by BC Builders, is configured in two buildings along Englewood Parkway and a half-block west of South Broadway. Medici addressed the challenge of controlling costs by incorporating large common outdoor spaces in the projects and excluding individual balconies for each unit. The building at the corner of Englewood Parkway and South Broadway incorporates approximately 15,000 square feet of ground-floor commercial space owned and leased by Game Creek Holdings. Medici Development constructed the core and shell of the commercial space and created a condominium to complete the sale transaction with Game Creek Holdings. One Barrel Bistro and Poke City are two of the commercial tenants that will be opening soon. Parking was another challenge for the project’s overall feasibility. A parking plan was incorporated into the development review process by the city of Englewood to meet the needs of residents and serve the project’s commercial space and downtown Englewood visitors. The proximity to transit factored into the decision to allow a reduction in the amount of parking required by Englewood’s development code. Shared parking used during the day by residential and commercial users and visitors at a 0.5:1 ratio to the former parking capacity of the site and a 1:1 evening ratio enabled the project’s financial and site development challenges to be resolved. The initial success of the project has been proven. 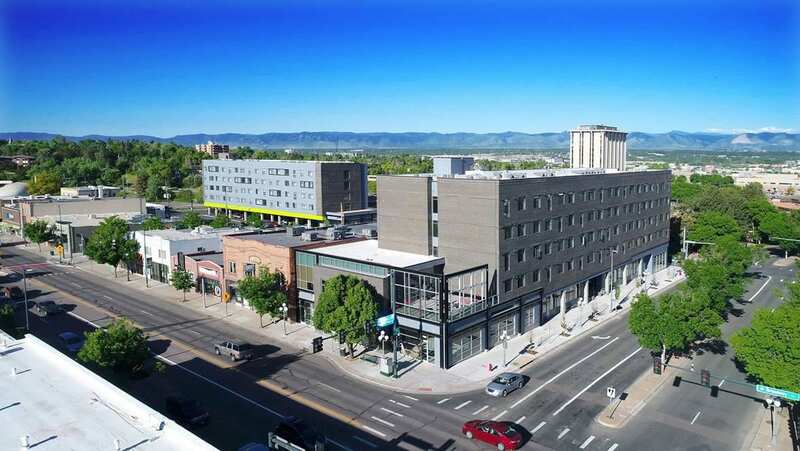 “Both residential buildings were fully leased within one month of their completion, which exemplifies the appeal of the project,” said Josh Russell, director of development for Medici Development in Denver. The apartments are income-qualified and are occupied by tenants who earn an average of 60 percent of the area median income in the Denver area, or approximately $30,000 to $50,000 annually. This income segment is particularly hampered in securing decent housing during this latest economic boom along the Front Range. The development of well-designed affordable housing located near transit options (bus service along Broadway and a light-rail stop four blocks west) is a challenge for communities in the Denver area due to rapid growth and limited availability of feasible land. The partnership between Medici Development, EURA and the city of Englewood enabled 111 families and individuals to find a home at Broadway Lofts.